LG's latest entry into the burgeoning micro-portable niche, the HS200, is nothing short of amazing. Besides its array of innovative features that include embedded DivX, USB inputs, and wireless FM for your audio feed, you get user-friendly ergonomics and a 30,000 hour lamp life. This highly adaptable LED-based miniature projector boasts a lumen output between 20 to 100% greater than the most recent projectors in its genre. What does that mean in real life? Well, in the old days I was very content using a Dream Vision DL 500 rated at 400 lumens that sold for $6,000. Comparatively, this teeny weensy HS200 blows its doors off. If this is but a hint of what is to come using LED lamp technology, what can I say, LIFE IS GOOD. Lamp Life - Green with Envy: With LG's 30,000 hour LED (Light Emitting Diode) lamp there is little need to ever have to replace it. That represents quite a value considering the price of the projector is not much more than some projectors' replacement lamp cost. The HS200 will produce a very respectable picture quality for let's say 20-40 years depending on your daily usage! Not only that, by consuming less electricity and not containing any mercury, it's greener too. Portability: While it won't fit in your pocket, the HS200 is very portable. The unit itself weighs 1.7 lbs; fully accessorized it tips the scales at a scant 4 pounds. It measures 2.0 inches high x 4.6 inches deep x 6.1 inches wide, about the size of a good novel. As an alternative to lugging around DVD players and even laptops, you can use its USB flash drive and its embedded FM transmitter for a genuine portable projection experience. Connectivity: This is where the HS200 excels. It has practically every connection you could possibly need: USB, RGB/component, HDMI, composite, and a 1/8 audio output jack. It also includes a USB device that is a snap to set up and operate. Once attached it automatically activates a DivX Home Menu. Then sit back and watch your slide show, perhaps add some mood music, play a game, or even share you favorite flick. It's really that simple. Control: Another attribute is how much adjustability is available on this mini sized projector. The advanced control in the picture section was especially advantageous in dialing in just the right picture quality for theater reproduction, as is the blank mode for presentation applications. I found the full screen mode in the photo section using the USB interface to be exceptionally beneficial. Even the LED mode options allowed for three levels of brightness. The menus were easy to navigate and utilize. Image Quality: While not a behemoth in lumen output compared to conventional projectors, at 200 lumens it represents an improvement over other micro-portables. So how does this translate to real world applications? On a 90-inch screen in a light controlled environment it produces a high quality picture with decent punch, color saturation, and clarity. Where there is ambient light, if you limit your image size to 35 - 50 inches maximum, you can still expect reasonable performance. Surprisingly Quiet: A typical issue with miniature projectors is fan noise. This is not as bothersome with the HS200. Even when it is on full light output (presentation mode) fan noise is tolerable. On lower output settings (movie mode) it is barely perceptible. Security: The unit comes with a Kensington security system connector if you plan to leave it somewhere unattended. What's the MSRP for this unit? I hope they boost the resolution, make it 16:9 native & add a lens shift on the next gen. Yes, it is great to enjoy a movie, TV, Game, MP3 etc. HS200 and HS201 are a little bit different model and accessory. If you want a reasonable price product, it is HS201. Funny how long they've been stuck at the entry level resolution with led technology though, isn't it? It's like they think we must all buy one clunker before they will start to produce the real thing. I have an LG HS201G, got it as a Christmas Present a couple days before Christmas. Super nice feature, well made unit, I'm an engineer, and a gadget guy so this fits perfect for me when travelling. Wow, it does need a case though, looked for a camcorder case or something, but can't seem to find exactly the right size. I did find a little Ultra Pod device that folds really small and is light, this works perfectly for mounting the projector, can even project on the ceiling with it. I totally agree with some of the previous comments, needs lens shift, needs 16:9 native resolution and most of all needs more lumens. I come from a business environment filled with 2000-2500 lumen projectors and this does take some getting used to, but...don't get me wrong, I have never seen one of those expensive and bright projectors with the features and connectivity that this little projector has. I love it, I will buy another at 400 lumens...then again at 1000 lumens. I have a Planar conventional projector I use for work, almost as small as this one, it has 2200 lumens beautiful images and video...but not near the connectivity. Hope this is good information. I everybody. Where it's possible to by this small projector: LG HS200 - DLP projector and the LG HS102G - DLP projector? If anybody is thinking about getting this projector, i consider you to wait a little bit 'til the LG HX300 comes out this year. It's a LED Projector with at least a native 1024x768 Resolution, and has 300Lumens vs HS201's 200lumens. I'm not sure how much it will cost though. I can't find any information of the ETA and price. You can try iSival's MP720B1. Its native resolution is 1280x768, aspect ratio is 16:9, includes HDMI and USB interface. How exactly does the "FM receiver" work? -Does it simply pick up FM stations OR -Does it transmit the audio it is being fed over the air to be picked up by your FM radio in order to amplify the sound? I did find a little Ultra Pod device that folds really small and is light, this works perfectly for mounting the projector, can even project on the ceiling with it. The only problem that there is not software for the remote neither cable to connect the projector with the pc. Since hdmi only transmits audio-video I assume you would need an A/A usb cable to connect it to the PC. I have a new LG projector for my computer. I am trying to make a power point presentation. The REMOTE will power on and off but when I push the page up or down function a message comes on that reads "This function is not available at this time". How do I get the remote to page up and down so that I do not have to utilize the arrows on the computer? The FM Transmitter transfers the sound input over FM waves so you can use your FM radio/boombox, etc. in order to amplify the sound. However, the projector does have a built-in mono speaker which is adequate if sound quality is not paramount. You can also plug a set of powered speakers via the headphone jack, which makes it extremely ideal. I just bought Lg HS200 projector yesterday. When I connected the USB flash , the projector would not recognize the file of the powerpoint presentation? The presentation was made using MS office. Is there a solution to this problem? If not then I have to return the projector to the store. GOOD DAY, TO ALL. I have an HS200 (LG-PROJECTOR DLP), I CAN NOT CHANGE THE RESOLUTION Pal to NTSC, OR OTHER RESOLUCTION. HOW CAN SOMEONE DO THIS AMENDMENT GUIARME PROJECTOR HOW TO GET TO SEE COLOR IMAGES. IF I TURN THE SPOTLIGHT ON YOUR PC, it works with colors normal mind, but when I turn the projector on a cable TV box, Brenco is black and ... who can help me. Thank you all, I hope support soon. I got one unit.My primary purpose is to do PPT presentations from my Laptop. But iam unable to do.Is there a way??!! May be with some add on Software or adopter etc..
Great read! I especially like the fact this particular led projector has a high lamp life as the replacements tend to be a little costly. The advantages are great, However, I would love to know what the disadvantages are as well. I have LG LED HS200G Projector..The projector was really amazing for close to one year, but all of a sudden there are some white dots on the projection.. Can any one tell me what would be the problem. same problems here , today i have 13 white dots on right plus on grey in the center. what is wrong LG ??? Had this great little miracle for one year now. I turn it on yesterday and I have these white dots on the top right corner! Seems like a burn in kinda of thing. I have LG HS200G-je Projector..The projector was really amazing for close to one year, but all of a sudden there are some white dots on the projection.. Can any one tell me what would be the problem. 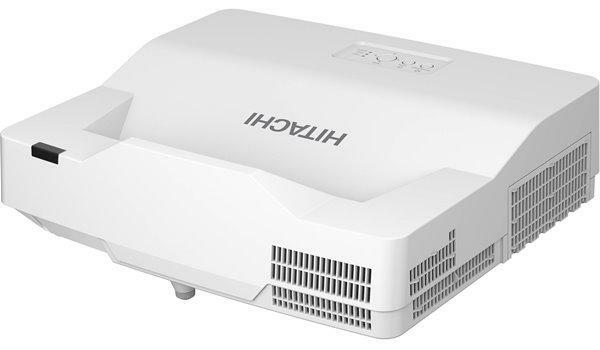 I bought one of this Projector (LG HS200G LED Projector) since late 2011, from a shop in Victoria Island, the Hub Media Store, Lagos, Nigeria). I must say that I have enjoyed using it for my lectures to students - portable, light and easy to turn on. However, one day, about two months ago, I was giving my lecture and suddenly the projector went blank, except for a flickering red spot. I tried to fix it here in Benin City as well as in Lagos (even in the shop where I bought it), but they seem not to have a clue to the problem. Needless to say that I am a very unhappy and frustrated Professor of Physiology right now because of this. SO, WHAT DO I DO NOW? I NEED YOUR URGENT REPLY, BEFORE I RUN MAD. Thank you so very much for the quick reply. I have had this projector for about three years now and suddenly during my lecture it just went off and left only a roaming red sport. I contacted the shop I bought it from and they could not help. Even the LG Shop had no solution for me. What do I do as I love this very handy projector, even though I have not explored all the potentials - I used it just for my lectures to my students in Nigeria. Please help. Hi! I tried to fix my projector this way, but there are a lot of layers... it's more complicated than a phone. I removed the cover from the top, and the bottom, and I still didn't saw anything.. only some different kind of screws i should remove. On the back there were only a cover that covered the connections. Removing it didn't helped much. If you could be just a little more specific about which cover I should remove, it would be very helpful of you! Thanks anyway.